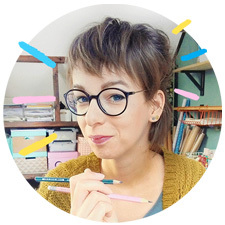 As you may (or may not) know, I illustrate windowdrawing-designs for Windowdrawing.com. 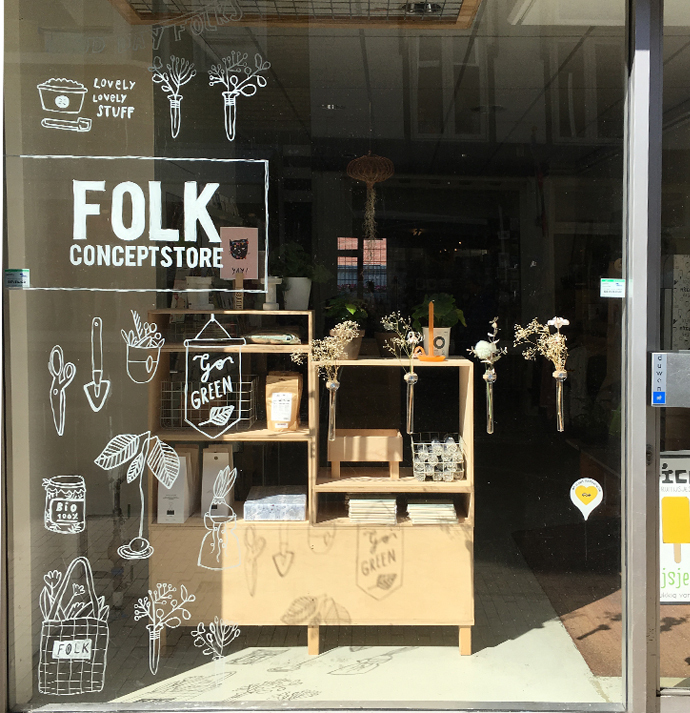 After seeing one of my windowdrawing designs, Anne, owner of FOLK Conceptstore, contacted me. 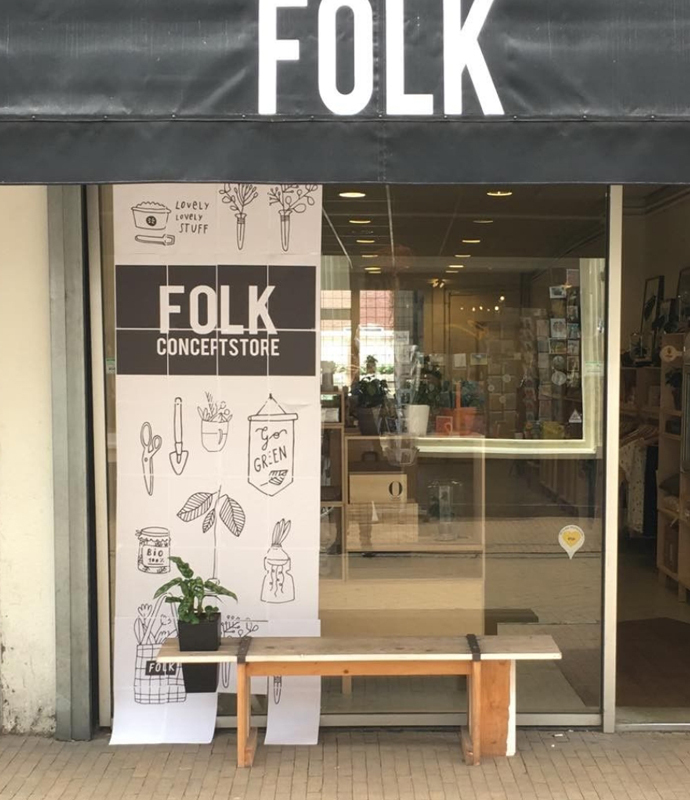 FOLK is a conceptstore in Groningen (NL). 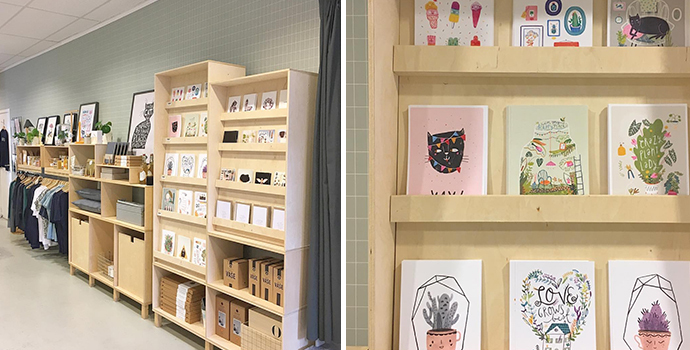 In this shop they sell a nice mix of design, interior, clothing, stationery and paper products. 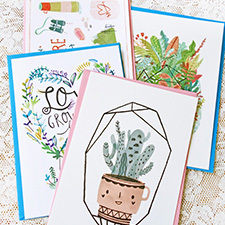 A store for designers and by designers, because Anne & Tim are designers themselves. 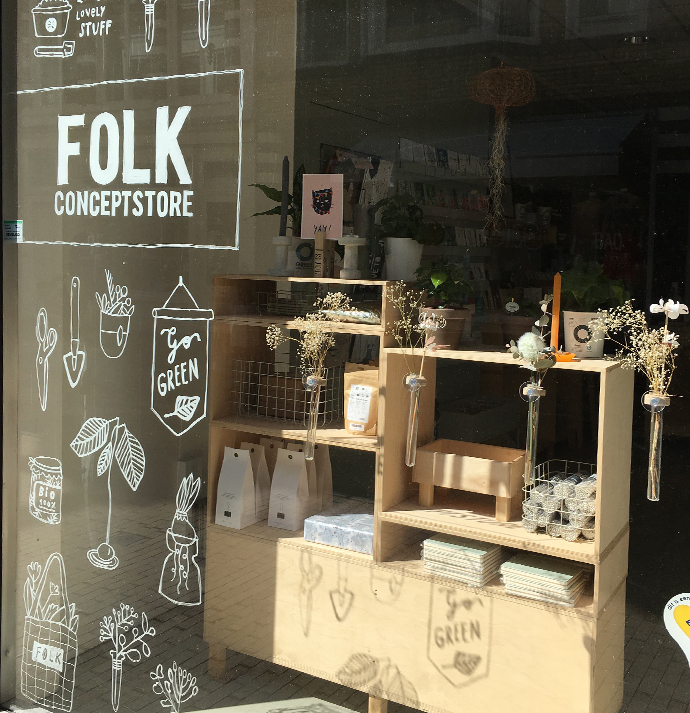 The store is considerd a real treasure in the centre of Groningen and they also sell the full Teken-ing card and print range as well, yay! Because of these earlier collabs and contact I had with Anne, she asked me to design a windowdrawing for FOLK’s shopwindow. 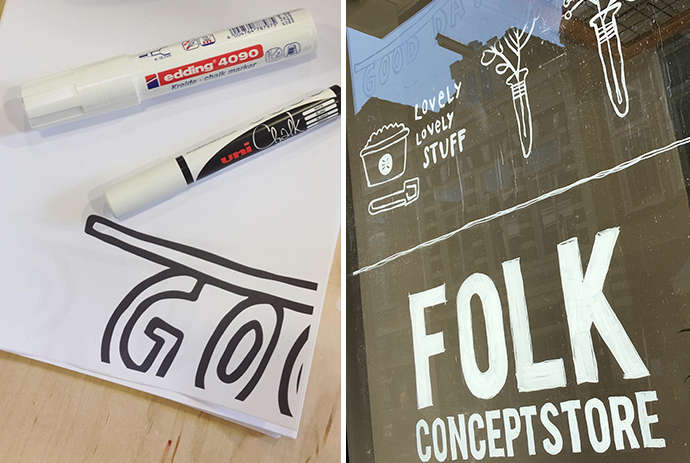 The theme was ‘FOLK goes GREEN’ and the design needed to include the stores logo. 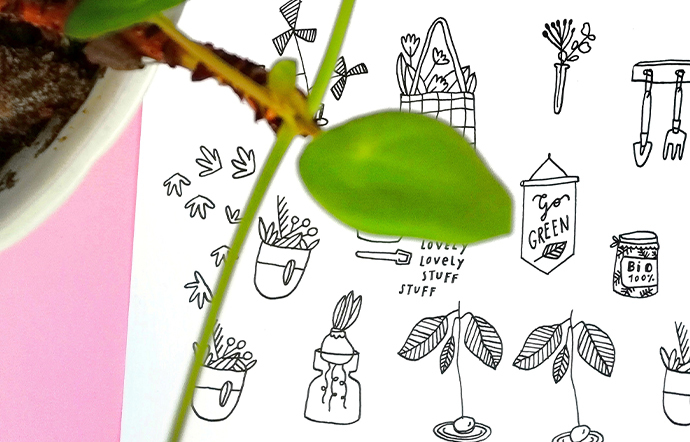 I started sketching illustrations of ‘green’ products with a fresh and botanical look, suited for spring and summer. 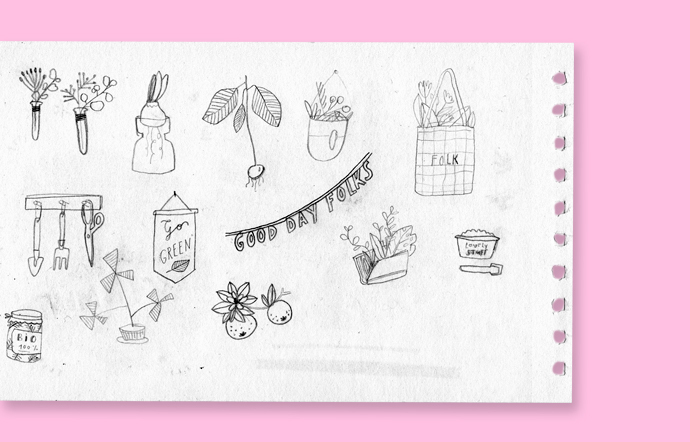 I also drew typical FOLK products like the ‘good day folks’ garland, Anne’s avocadoplants and FOLKS famous wall-vases. After finsihing the illustrations I started design the composition of the windowdrawing design on scale. 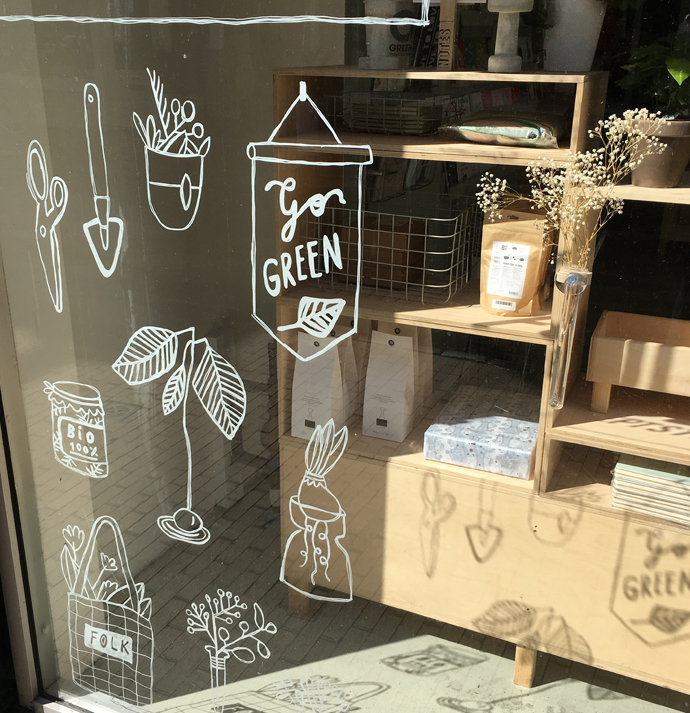 I tested several compositions combining the illustrations and logo upon the shopwindow. The design needed to stand out but also needed to complement the products in the shop window. After testing a couple compositions Anne and I decided on one composition of the windowdrawing on left side of the shopwindow. With the logo headed in the top and leaving the cabinet in the display window visible. 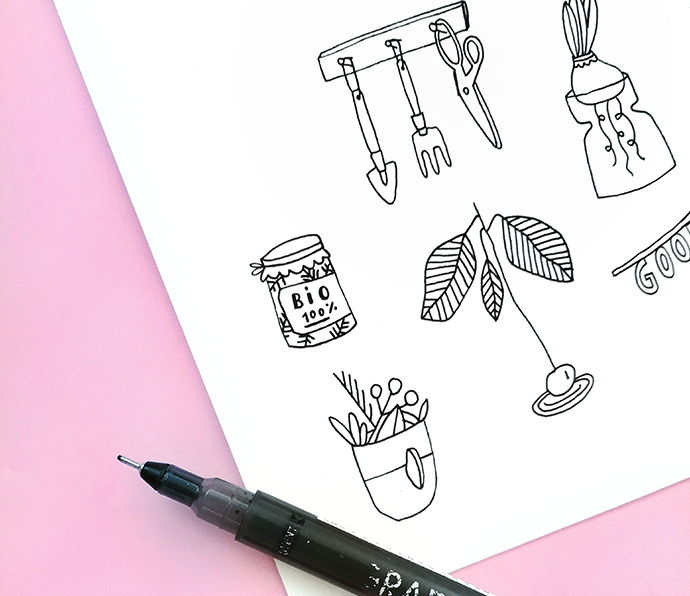 This windowdrawing needed to be on scale, so I made a life-size printable. The seperate A4 papers were taped together as one large printable to be traced on the window. It took about 35 A4 papers to get the compleet windowdrawing on scale. And so the drawing began! A white windowdrawing marker did the trick and the drawing was made on this inside of the shopwindow tracing the printable. You can see the drawing in full swing below (also look at those cute shadows the drawing makes in the windowsill!). Anne and I are very happy with how this shopwindow drawing turned out and FOLK got a lot of compliments on their (already) good looking shopwindow. If you are looking for a fun windowdrawing for your shop/display/company/school as well, I am happy to help! Just send me a message and we’ll work it out. To see and download all the printable designs I made for Windowdrawing.com check out the shop here.